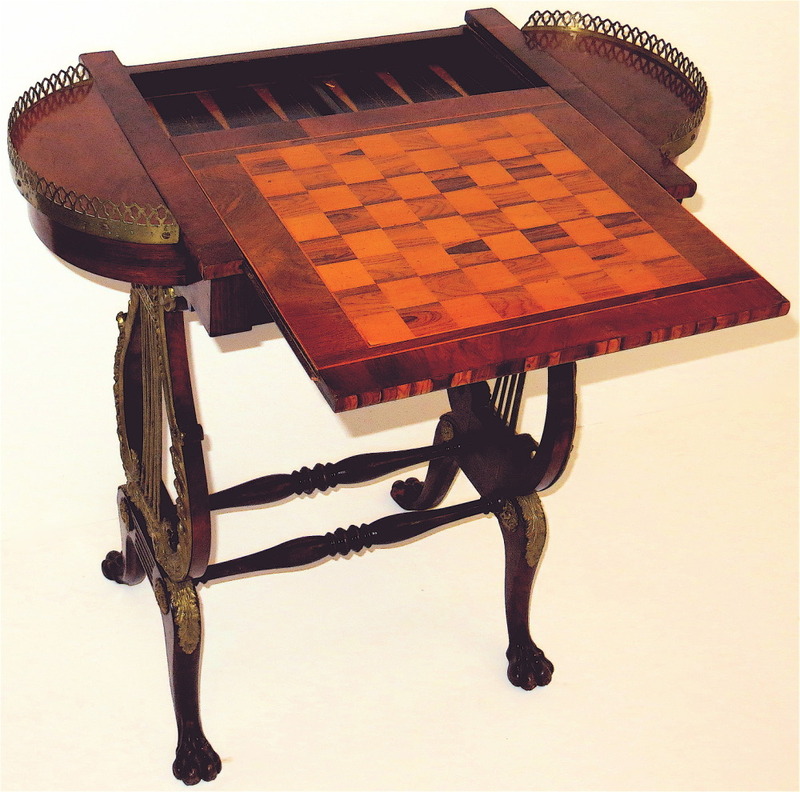 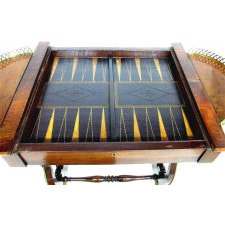 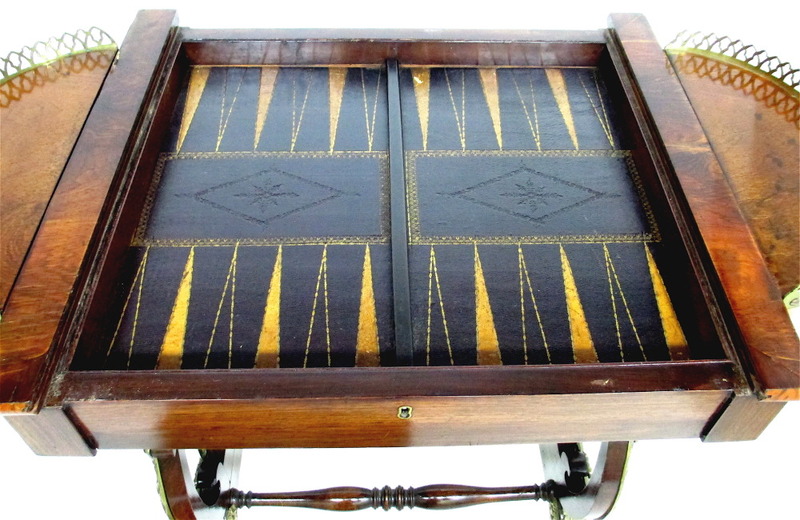 Of British manufacture, this circa 1815 gilt metal mounted veneered rosewood and calamander grained games table, has an inlaid sliding reversible top, which reveals a tooled games board, enclosing a fitted leather lined backgammon well. 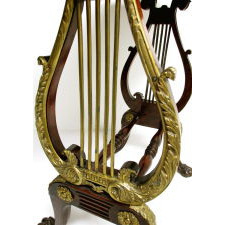 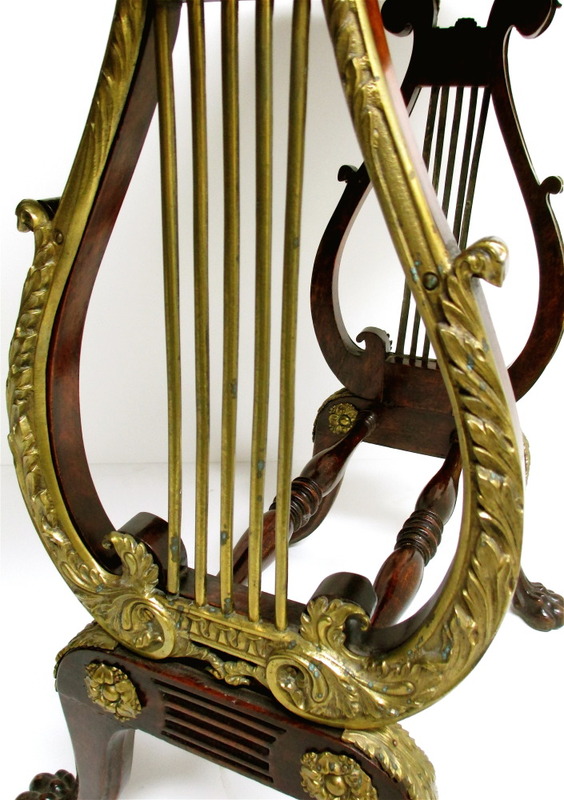 The bowed ends have pierced brass galleries opening to wells; the stylized lyre formed sides have foliate gilt-metal mounts and brass strings, joined by two baluster and ring turned stretchers. 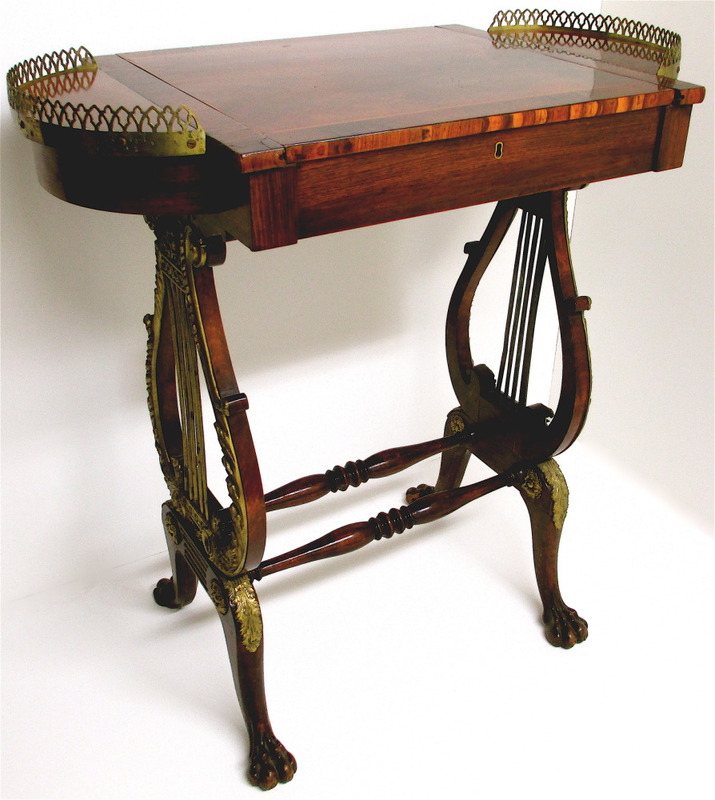 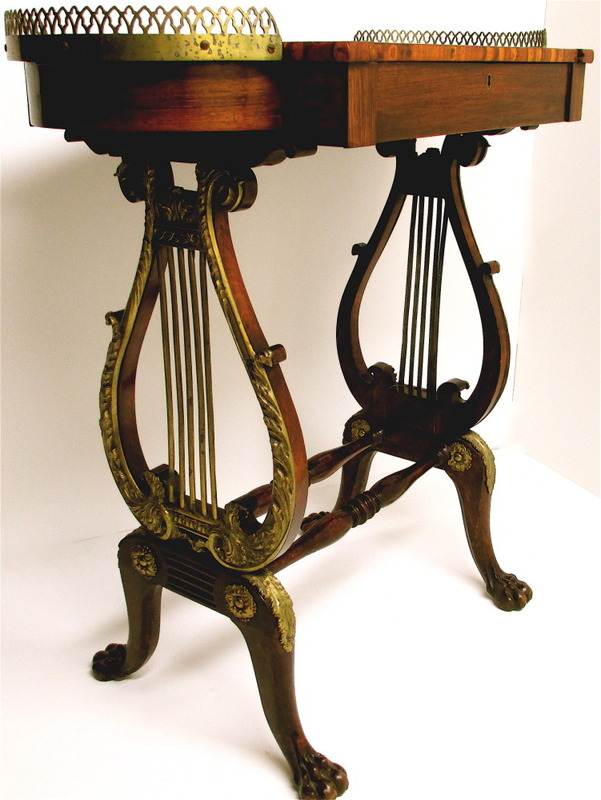 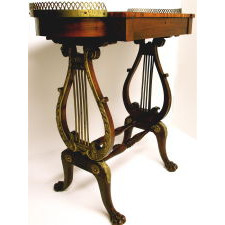 The legs with foliate brass mounts end with carved paw feet. 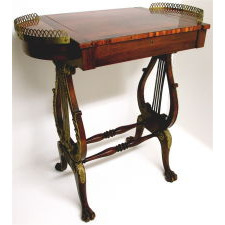 This table is in excellent condition and all original. Dimensions: 28" high x 31 1/2" wide x 16 1/2" deep.